The antique colonial North Main Street residence located on the shores of Lake Terramuggus in Marlborough, Connecticut had many obstacles to overcome in order to achieve the owner’s program requirements. 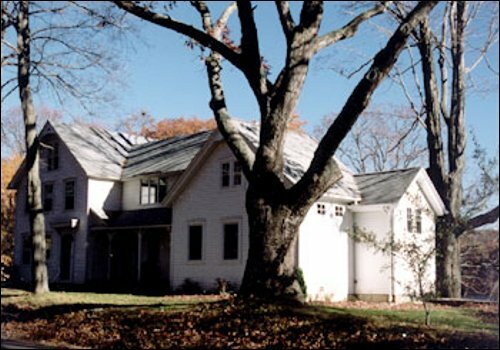 To the south of the original house, where the master suite addition was planned, loom s a massive maple tree with a 300-year-old stone retaining wall located at the base of the tree, both of which could not be removed or modified. Also in this area is the existing well which required the necessary setbacks. The master suite addition of approximately 364 square feet had to be “shoe horned” between all these physical items. As with most waterfront properties, the septic system requirements and the wetlands location governed that the existing septic system could not be relocated which meant the necessary setbacks from the system controlled the development of the project to the water side of the property. 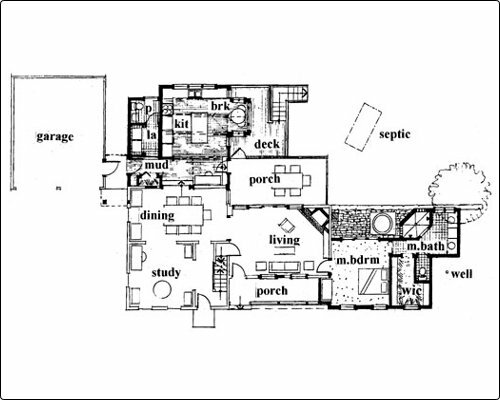 To the waterside of the residence the kitchen addition of approximately 432 square feet was planned., This portion of the renovation comprised of a kitchen with a breakfast area, mudroom, laundry and power room addition. The kitchen as well as the breakfast area is a cathedral ceiling space with many windows to take enjoyment of the water view. Because of the in board character of the mudroom, clerestory windows allow for high sunlight to penetrate the interiors of the residence.